Rory Bremner is the UK’s leading comedy and satirical impressionist. Over forty years ago, Bremner put on a duffel coat and performed his first public impression – of his French teacher, Derek Swift. Nine years later, he starred in his first BBC series ‘Now – Something Else‘ and starting contributing to Spitting Image. 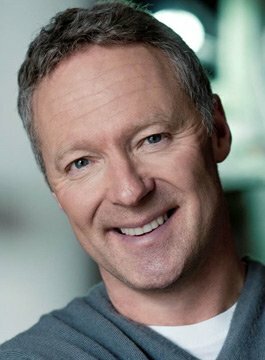 Today, Rory Bremner is widely rated as Britain’s sharpest impressionist – a one-man opposition party. Born in Edinburgh, Rory was educated at Wellington College and went on to attend King’s College, London, where he graduated with an honours degree in French, German… and imitating lecturers. Whilst at university, he performed at the Edinburgh Fringe Festival and began his career on the satirical radio shows News Revue (LBC) and Weekending (BBC Radio) before embarking on a seven-year spell at the BBC. Since then, he’s appeared on countless TV shows from Have I Got News For You to Whose Line is it Anyway? and Mock the Week to QI. Blair did it all go wrong? He’s won numerous awards, including 3 BAFTAs for his long-running Channel 4 satire series Bremner Bird & Fortune, featuring Rory and The Two Johns. More recently, along with Debra Stephenson, Rory has been a weekly team captain on ITV’s The Imitation Game. Rory Bremner is available for After Dinner Performances and Awards Hosting.